More often than not, questions I am asked from people whose jobs require them to be collaborative and/or to implement collaborative approaches are related to how they can influence people around them to think more collaboratively. It is very common for collaboration practitioners to experience frustration when colleagues see collaboration as a threat or perhaps are too cynical to give it serious thought or commitment. Lasting results in collaboration do not come easy; but when they do come they are truly spectacular and transformative. It is now almost impossible to believe that an organisation across any industry or sector, can hope to be relevant by the end of decade if they do not have a firm grasp of collaborative strategies and practices. As with any change, introducing necessary elements into organisations that will ask their employees, customers, suppliers, partners, contractors, colleagues, etc. to understand collaboration, may come with obstacles. However, playing catch up can also come at significant cost that can be prevented by taking action on time. In my workshops or strategic planning sessions, I generally dedicate a sizable amount of time to discuss some key factors that, in my view, determine good collaboration practice and make for a good practitioner. This week I will focus on the first two of these attributes. An entrepreneurial approach: This is rarely a feature that comes to mind when we think of collaboration and yet it is a very valued quality. The central, but not unique, reason for this is that a collaboration practitioner needs an element of entrepreneurialism in order to deal with the disruptive nature of collaboration. Collaboration demands a deep examination of work practices and approaches in almost every aspect of work performance. This challenge is better met when employees understand that there is an element of risk associated with change. An entrepreneurial approach is then about attitude as much as it is about skills and capabilities. A grasp of strategy: This is a must-have capability for anyone embarking on the collaboration path. True collaboration is not really possible unless all involved are strategy literate. While most people today work in environments where strategic plans are the basis of operations and work performed on a daily basis, strategy as a concept is often misunderstood or, even worse, reduced to meaning only one thing; long term goals. The significance of having ‘a grasp of strategy’ is twofold. Firstly, collaboration practitioners must have good experience in drafting, reviewing and executing strategic goals. 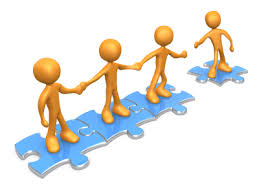 Secondly, good collaboration is centred on an assumed common understanding and trust that the strategic directions of all collaborating partners will create the grounding and guiding platform necessary for collaboration results. In a way, strategy is the code with which collaboration is designed. I am convinced of the direct correlation between the two and in my own experience have learned that a lack of this capability almost inevitably leads to frustration and disappointment before the collaborative project or program is brought to completion. In the next instalment I will return to this subject and focus on the importance of resilience and innovation.